The Morgan Library is a little gem of a museum and archive - more a jewel box treasure, really. It's not as well known as it deserves to be - in a New York City dominated by gigantic museums. 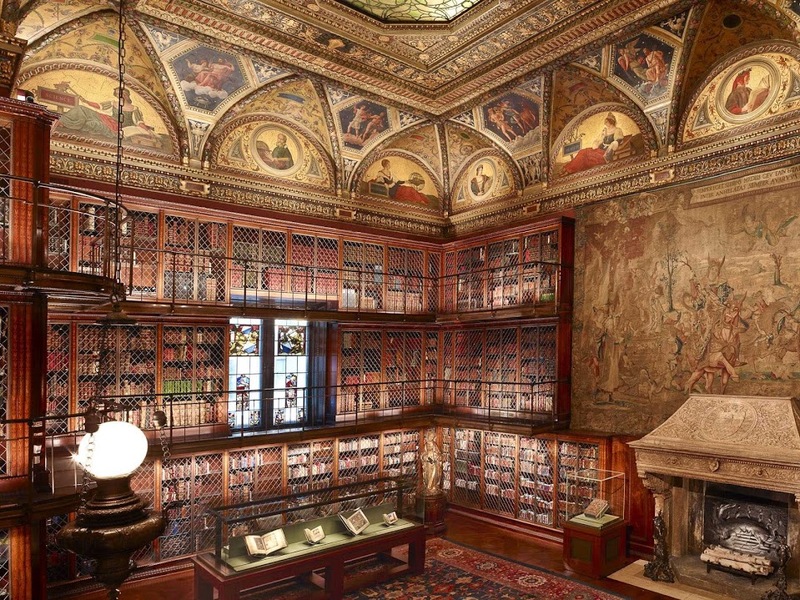 It's financier JP Morgan's private residential library building - a grand beaux-arts masterpiece of turn of the 20th century architecture and a group of related buildings and exhibition halls that house one of the greatest collections of books, manuscripts, and drawings on the planet. The Morgan seems to continually reinvent itself through the ages. I remember the lovely verdant atriumed Garden Court being the venue of choice for work-time lunches with older relatives. The recent Renzo Piano designed incarnation is bigger, more monumental, if a bit colder. One of the cool things about the recent renovation, however, is that the dining room of Jack Morgan (JP Morgan Jr.)'s house has been made into the formal dining room of the The Morgan's concessionaire, Restaurant Associates. The Morgan Dining Room, as it is known, has period details, including JP Morgan family portraits. It's a cool place to eat, atmosphere-wise, and the food is pretty good. "When properly built, the Manhattan is the only cocktail that can slug it out toe-to-toe with the martini. It's bold and fortifying, yet as relaxing as a deep massage. J.P. Morgan used to have one at the close of each trading day." At the advice of Michael Strohl of Lauber Imports RA got in touch with Chris Riesbeck of Gordon & MacPhail for the first event. Patricia Japngie of RA asked me what I thought. I was able to whole heartedly assent. 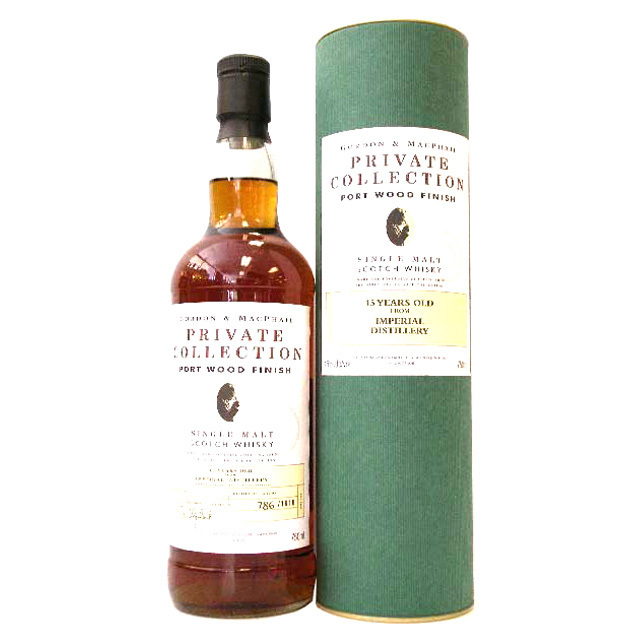 Gordon & MacPhail is the oldest and most important independent bottler of Scotch. 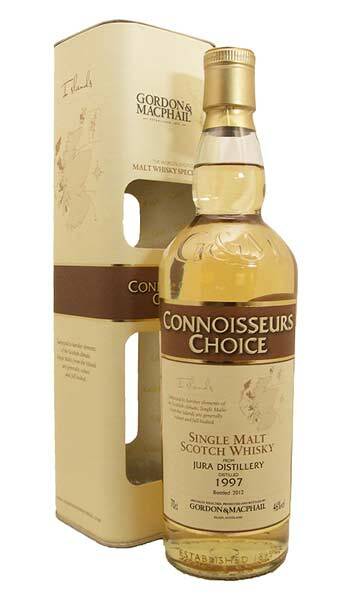 Not only do they have many bottlings of astounding quality, they have played an important role in bringing single malt expressions of distilleries that normally sell their output for blends. They also provide a deep repository of vanished distilleries and important whisky history in their vast Elgin warehouses. It was originally scheduled for Friday November 2, 2012 - but that ended up being the week that Hurricane Sandy dealt such devastation to the Northeastern part of the US, and the New York metro area in particular. On that date The Morgan was without power - along with the rest of Manhattan from south mid-town down. But life goes on, and the event was rescheduled for Friday, December 7th 2012. Chris Riesbeck, the US Brand Ambassador for Gordon & MacPhail presented six excellent drams. I was privileged to make the introduction. 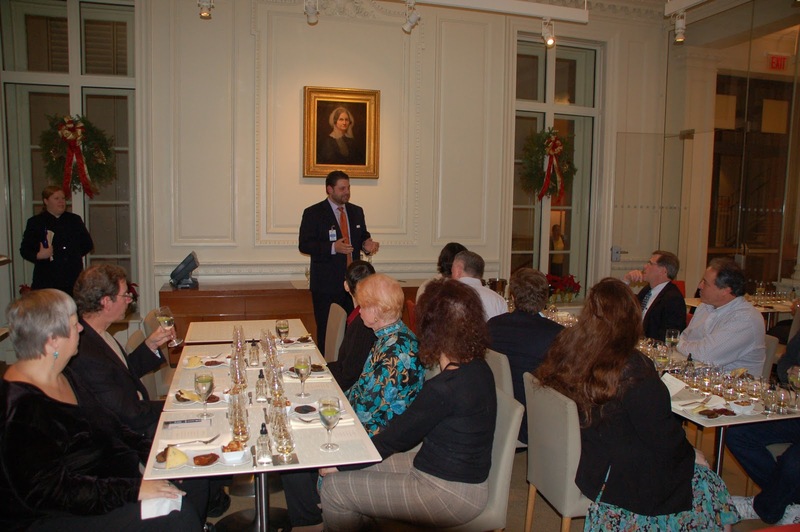 I spoke about how The Morgan Library is a repository of knowledge's past and that Gordon & MacPhail fulfills this role for whisky. 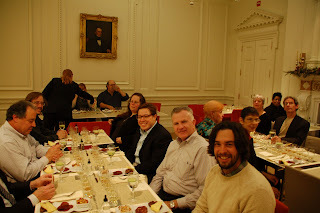 I said that I met Ardbeg and Caol Ila during those distillery's hiatuses via G&M issues, and that distilleries such as Glen Moray, Glentauchers, and Interleven were known almost exclusively from their G&M editions. 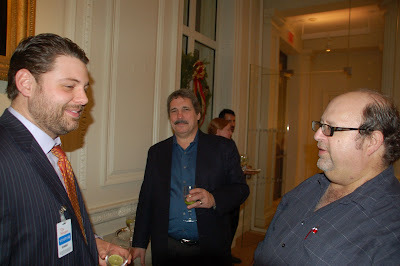 I also had the opportunity to meet some other lovely people. Highlights include noted Star Trek author and SciFi impresario Keith DeCandido and Belgian whisky enthusiast Jonathan Cornelus. Nose: Surprisingly rich with paraffin wax, rich estery melon, salt tang, and a slight whiff of peat. Palate: Honeyed floral sweet entry with a silky mouth feel. Waxy, estery rich with a tang of acid at mid-palate abd wafts if the sea at the turn. 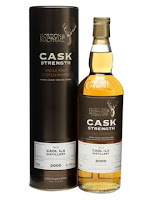 Riesbeck reports the casks used as "Very old refill sherry". No sherry flavor was in evidence, which lets the distillate's flavors shine. 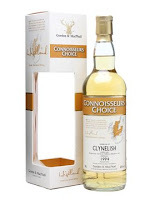 This is a really nice example of the Brora-like flavor signature that the really good Clynelishes have. There is a freshness and a rich estery quality here much more marked than in the 14 year OP expression. Nose: Gently floral with buttery notes and some pear/melon fruits. The palate is surprisingly potent estery fruit basket with maritime salt, and a marked vegetal aspect which Riesbeck evocatively called "grilled Jalapeno". Of course, once he said that, you couldn't help but taste it. Also refill sherry cask - clearly very old multiply refilled casks. The flavors here are markedly richer than the OP10. The flavor density is close to the excellent OP16, although the signature is younger and fresher. Also interesting is the very pale color. OP expressions of Jura are all caramel colored and run a light amber. I got the feeling that we were privileged to see what Jura "really" looks like here (granted that color is almost always determined by barrel management when coloring isn't used). I found the pale color when combined with the rich flavor beguiling. Nose, richly floral with a big vanilla component. Honeysuckles, butter, and salty air. Palate: Huge creamy vanilla floral opening with a big melon estery hit. The mouth feel is silky and rich. 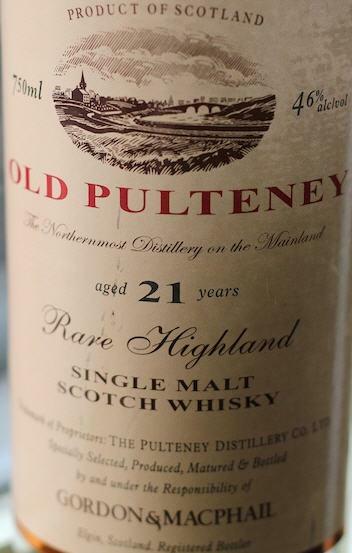 At mid palate the floral and fruity sweet shifts into maritime salt tang, firm malt, and a bloom of gentle oak. The turn to the finish dials up the ocean air. Superb - and the consensus here is that this, with its cleaner pure bourbon oak cask aging is superior to the OP. Aged in refill American Hogshead (the standard barrels are resized to hogsheads to optimize the barrel size for long maturation). This was a real highlight. Speyside, peated malt aged 80% of the time in bourbon cask, then the last 20% in first fill cream sherry. Color: old gold, with amber glints. Nose: peat and herbal iodine meets mossy grassy malt. 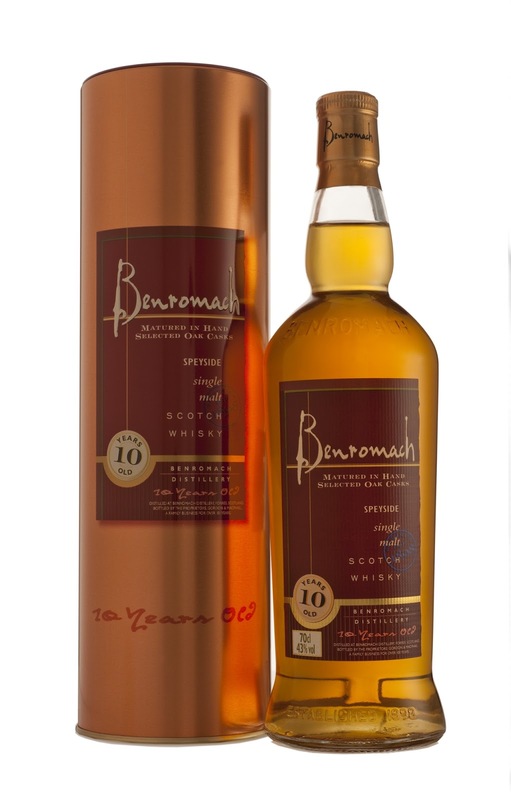 Palate: Benromach 10 delivers on the score of mixing the traditional Spey flavor elements of fruit basket and gentle peat. There is some lovely vanilla floral on the opening. Then a gentle expansion with estery Speyside fruits. The peat shows up at the tail end of the mid-palate and drives through the finish. It's wonderful stuff. Nose: sandalwood, cantaloup, and earthy musk. Palate: Port driven Spanish figs and loamy earth and moss. Sherried sweet opening, with that cocoa thing going on. Musk melon and apricot bark drive the mid palate. There's plenty of musk and loamy must and oak tannin in the turn. Then a long oaky and port wine finish that I found satisfying. Organic, earthy, yet with pretty good amplitude. This is my first Imperial - and it's very compelling. Aged 10 years in refill sherry then the next 5 years port pipe. In the denouement of the evening I wasn't above scavenging an additional dram of this off another table! Color: pale gold with olive glints. Nose: Earthy damp tobacco, iodine, musk. Palate: big and rich with unusually full mouth feel. The opening is sweet with tons of vanilla and intense wood sugars from first fill bourbon cask and a hint of mint. The expansion is classic Caol Ila with iodine, band aids (but in a good way :) and rich maritime sea airs. The finish is long, malty and peaty. Very familiar, but rich and well balanced. 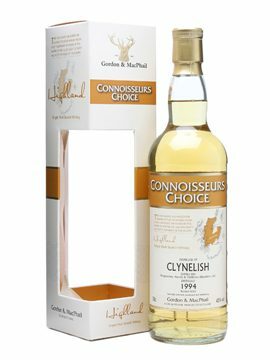 Bottom line here: Gordon and MacPhail shows a midas touch in getting excellence out the distillate. These are all whiskies I really enjoyed. Many of them clearly outshine the distillery's own expressions - which is a remarkable feat and a testament to the expertise G&M brings to the table. A bunch of happy campers. This event was clearly a success. It was sold out, entertaining, and featured a very nice group of special drams. The folks who attended clearly had a good time. That bodes well for future whisky events at The Morgan. So does the fact that RA purchased the Glencairns rather than rented them. 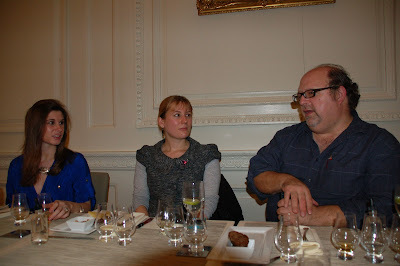 As it is, I am scheduled to lead a whisky-chocolate pairing event there on March 1st, 2013. I hope you can attend.